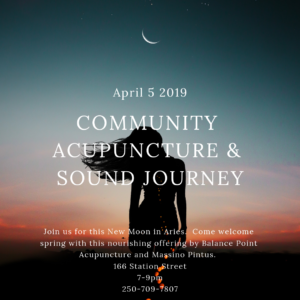 Balance Point Acupuncture and Wellness and Massimo Pintus are offering another New Moon event at the Collective Space. This event includes acupuncture, meditation, sound healing and herbal medicine combined into a two hour new moon ritual space. We look forward to having along on the journey.